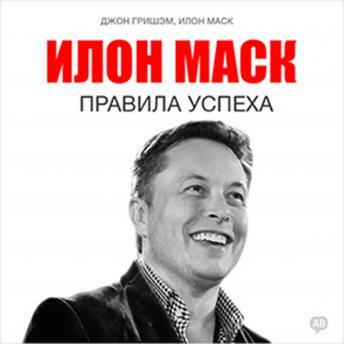 Biography and rules of success from the most famous entrepreneur and innovator of our time, the creator of Tesla and SpaceX, the prototype of Iron Man, Elon Musk! Some call him the charlatan of the century, others - a genius. Elon Musk, who at the age of 27 became a millionaire, is an ambiguous figure. But everyone agrees that he has had incredible success in business, creating companies that earn billions. What distinguishes him from other rich people is his ambitious ideas and incredible plans in the field of space research, the dissemination of alternative forms of energy and transport, even in the creation of artificial intelligence. Who is he: a genius or last romantic on Earth? In this audiobook we will share the business history of a charismatic physicist, engineer, programmer, innovator, and inventor. You will find the most important secrets of the success of the eccentric multibillionaire.